Strategic planning is all about the unknown. What will my business look like in six months? What will happen if I make this decision? How can I improve as a strategic planner? The list of questions is endless, but fortunately, there have been many individuals to go before you who can provide answers. 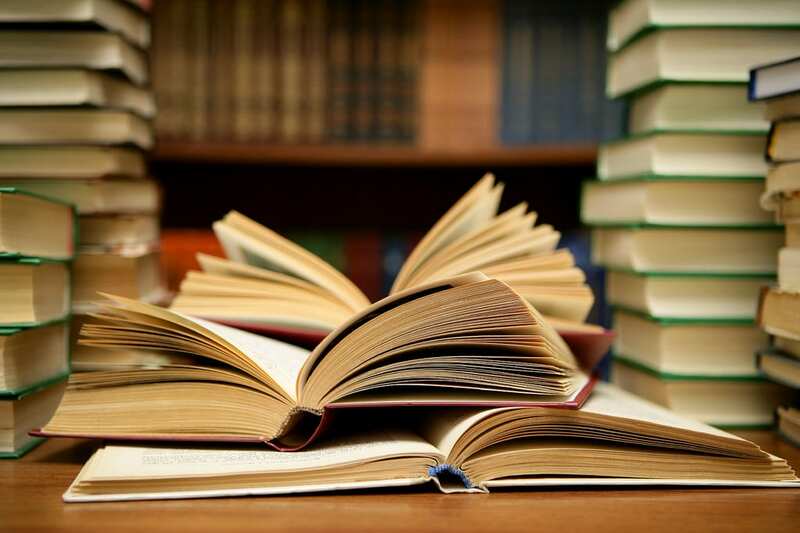 It’s rare to find yourself in a business situation that’s never been encountered, and the best way to ensure you’re prepared for the unexpected is to be a voracious reader. If you’re looking to get started with a diet of effective strategy, these five books are a good place to start. No book list on strategic planning and leadership is complete without Jim Collins’s classic. So many books are written for entrepreneurs first starting out, detailing how to build a business from nothing. But Good to Great is relevant for the executive who’s working at an existing business that’s either stagnating or looking to get to the next level. This is not about the unicorns – this is about real – but middle-of-the-road – companies that must deal with all the inertia and complexity of existing corporate structure and policies. Published in 2001, some of the case studies may at first seem a bit dated, but the message still rings clear and the management strategies described in the book still apply to companies today. Now, if you’re the type of person to read this list, there’s a good chance you’ve already read this book. But if you haven’t, grab a copy today. You’ll be happy you did. Like Good to Great, Rumelt also approaches the topic of strategic planning through case studies, but the central theme in this book takes those ideas one step further. With a more diverse set of examples – from church pastors to government officials – Rumelt doesn’t just examine organizations, but the people making these critical leadership decisions. Fluff is a form of gibberish masquerading as strategic concepts or arguments. It uses ‘Sunday’ words (words that are inflated and unnecessarily abstruse) and apparently esoteric concepts to create the illusion of high-level thinking. Failure to face the challenge. Bad strategy fails to recognize or define the challenge. When you cannot define the challenge, you cannot evaluate a strategy or improve it. Mistaking goals for strategy. Many bad strategies are just statements of desire rather than plans for overcoming obstacles. Bad strategic objectives. A strategic objective is set by a leader as a means to an end. Strategic objectives are ‘bad’ when they fail to address critical issues or when they are impracticable. But a good strategy book would not be complete without providing some direction and tools you can use to avoid these mistakes and build your organization, and Rumelt does not disappoint. His “strategy kernel” – consisting of Diagnosis, Guiding Policy, and Coherent Actions – helps build a foundation for your own strategic planning overhaul and sets the stage for his explanation of how to leverage strategic advantages and start truly thinking like a strategist. For those companies who’ve reached the top of their industry, the hard work and tough decisions are only the beginning. Wrestling with fellow giants is challenging enough, but what’s almost impossible is simultaneously fighting off the upstarts nipping at your heels. Christensen’s book is another classic which tackles the paradoxical dilemma many cutting-edge businesses face: how do you continue to satisfy your customer’s current needs while also preparing to satisfy their future needs? With examples like Intel’s 8088 processor and the Honda Supercub, Christensen shows how disruptive competition can creep into the low end of the market. These competitors can upend your business by offering an alternative that’s cheaper than your business and has matured to the point where they’re just good enough to satisfy your customers’ needs. This is an important book for executives who are beating their heads against the wall to push product innovation, yet still struggling to hold onto customers. It’s for the young company who wants to be that upstart and take on giants. And of course, it’s for any company still trying to define its identity in the marketplace. So whether you’re a startup yourself, an established company looking to stay relevant with a skunkworks operation or just an organization trying to think like a startup, this is a book for you. Deep Work is another book to help change your thinking, but it tackles a much more fundamental issue for strategic planners. When you’re a busy executive, it’s easy to fall into the trap of a reactive, email-based approach to work, where you’re more focused on putting out fires than working on the core aspects of your business. This book is designed to snap you out of it. Instead of spending all day doing shallow, easy, or feel-good “To-Do list” type work, Newport shows the reader how to build their days around a core of carefully chosen deep work, the end goal of which is to help them produce at an elite level, in terms of both quality and speed. We have a finite amount of willpower and energy, and Deep Work is all about making the most of those resources. The book starts out on the extreme end of the scale in order to drive home the concept – Carl Jung building a stone tower in the woods to focus his mind – but as it progresses, Newport acknowledges many of the realities of modern day work and lifestyles and uses his own experience to demonstrate how even today’s business leaders can implement the most important principles of deep work. We would be remiss if we did not include Strategy in the 21st Century, written by LBL’s own Randall Rollinson and Earl Young. This book covers many of the fundamental principles we teach at LBL, and it delivers a rich understanding of strategy based on the authors’ experiences in successful careers teaching, consulting, designing and implementing strategic management systems and processes over the past 30 years. This collaborative work traces historical developments in theory and practice of strategy from its seminal roots in the art of warfare to modern day application in business and organizational management. Along the way, Strategy in the 21st Century delivers fundamental insights, practical methods and tools, forming a step-by-step approach to strategic management that has been applied successfully in private companies, nonprofit organizations, public institutions and units of government both large and small. These classic books are a great way to get you in the strategist’s mindset. But for those looking for more, there is a ton of material out there, and we recommend starting out with our Suggested Reading List, which will arm you with a solid foundation not just in strategic planning, but also strategic leadership, strategic thinking and strategic action.